The first brothers came to the Netherlands in 1894. With a school and a boarding house, they settled at Eikenburg in Eindhoven. Headquarters is still there. Soon, they founded a psychiatric hospital in Venray and later on another in Noordwijkerhout. Moreover, the brothers started schools for primary and secondary general education, lower technical schools, special primary education, and boarding schools. They do so at Jonkerbosch in Nijmegen, in Etten-Leur, in Roermond, in Tilburg, in Kaatsheuvel, and in The Hague. They also took on the care of people with intellectual disabilities at Eckartdal in Eindhoven and in Elshout. All of these institutions now operate independently. 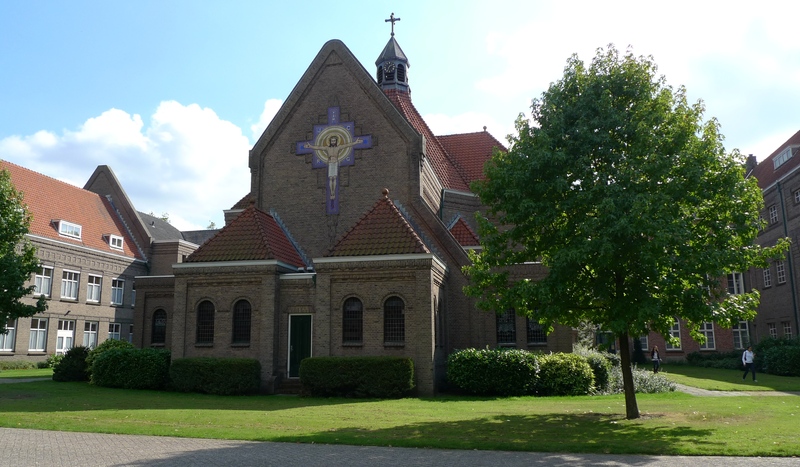 The brothers in the Netherlands are no longer active in their own apostolate. The spirituality and identity of the founder of the Brothers of Charity lives on in the Saint Anne’s Convent Foundation, which was established by the Sisters of Charity of Jesus and Mary. The Brothers of Charity joined the foundation; the provincial superior of the brothers is a member of the supervisory board. The Saint Anne’s Convent Foundation is a comprehensive health care facility where people receive care and support. Specifically, this means care for the elderly brothers and sisters in the convent rest homes, care for people in a hospice and a guest house, home care, care for the homeless in a care hotel, and assistance for social reintegration of (ex-) convicts by means of supported employment and supported living services. Pastoral care is available for all who ask for it. Visit the website of the Brothers of Charity in the Netherlands. Visit the website of Fracarita Netherlands.